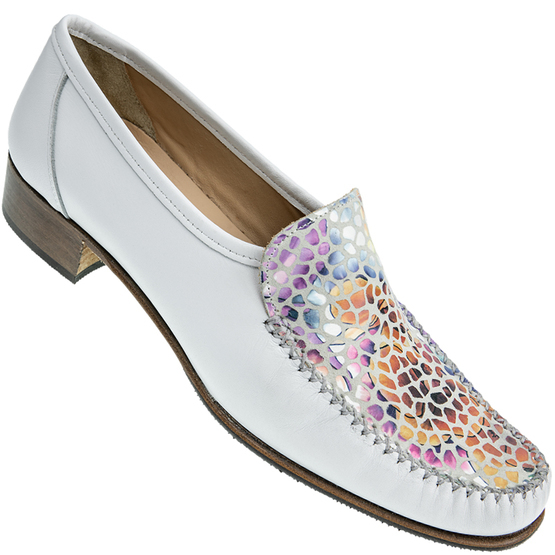 The essential Italian loafer with a twist, a printed vamp and heel add sophistication to the winning recipe. Soft leather inside and out with a Vibram outsole for lightweight traction and durability. A 1 inch heel and hidden elastic for the comfort and fit you love from HB.